In 1998 emigré Anglo-Scot, Walter McKinlay and his wife Ronnie fulfilled a long-cherished dream when they purchased some 40 acres of ancient, gnarled vines amongst the wild garrigue high up behind the spectacularly beautiful village of Seguret in the Vaucluse region of France. 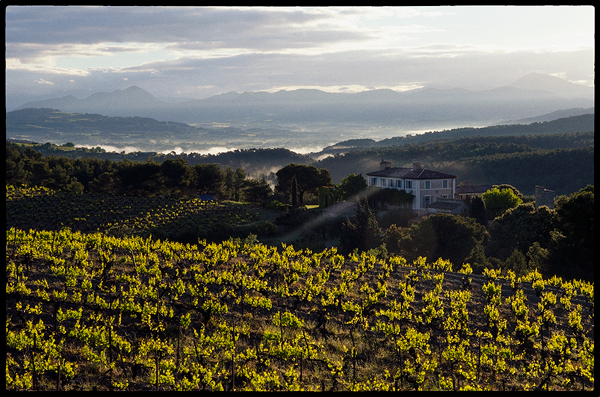 With sweeping vistas eastwards towards the Alpine foothills, and south to Mont Ventoux, this stunning location held the potential to make some of the finest wines of the appellation, indeed the region. At the time though, the site possessed neither house nor cuverie, and the vineyard was suffering from years of neglect. However Walter, who had built up and sold a successful business serving the offshore oil industry in Scotland, and who possesses enviable energy and drive, was undeterred. 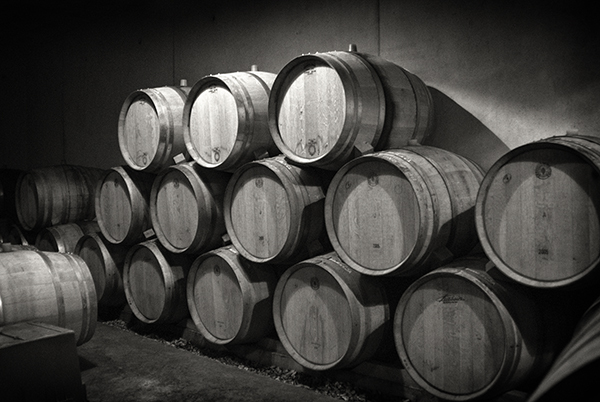 Within two years a new gravity-fed cuverie and barrel-ageing cellar, a beautiful installation that slips easily into the description “state of the art”, and close by it a fine and extensive house designed in the traditional Provençale style, had been completed. The first couple of vintages had been made by fellow expat Nick Thompson in nearby Cairanne and had already demonstrated that the potential of the old vines on this high, free draining soil was considerable. Now, with the vineyard gradually being restored to full health and the entire production taking place on the estate, things really began to take shape. 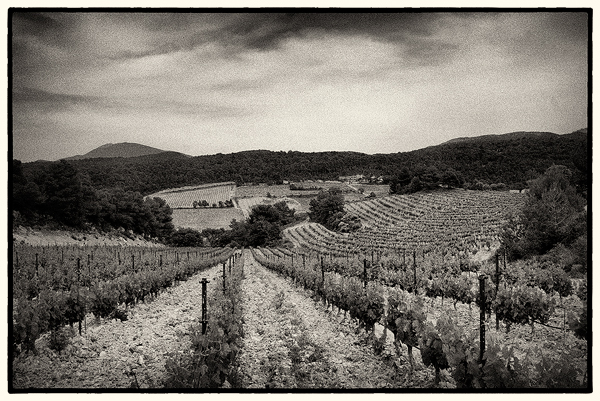 The arrival of winemaker Sebastian Magnouac in 2000 helped to focus the accent onto a progressively more nuanced style, and since 2006 the estate has been producing an increasing range of truly excellent wines which are properly and thrillingly expressive of their origins. The key to the originality of these wines lies in this unique terroir. 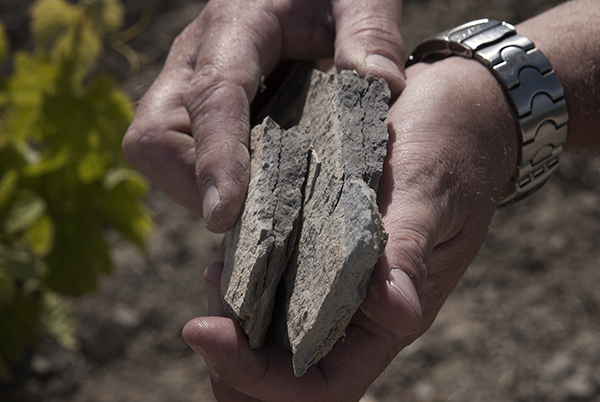 At some 300m, the vineyard lies well above those on the valley floor below the village, and the decomposed grey marl soil with its overburden of broken limestone and clay allows the roots of the vines to search deep in their quest for water and mineral nourishment. The altitude and aspect combine to increase the maturation season of the grapes well beyond those on the sandy, sometimes sun-blasted soils in the rest of Seguret, and the vitality-giving acidities diminish at a much slower rate as the grapes wend their way towards a full phenolic ripeness. The wines tend therefore to be less solid and richly rustic than might be considered normal for the appellation, finer-grained, more nuanced, often elegant, and with great complexity and ageing potential. 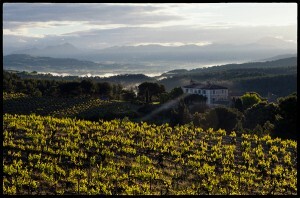 The estate follows a “culture raisonnée” regime in the vineyard – it is in practice organic, and indeed they are progressing to full organic status, with certification from 2017. As such, they are dedicated to sustainable viticulture, with weed management through ploughing, and only the use of organic manures and fertilisers. The grapes are hand-harvested, carefully sorted, and subjected to fermentation under a selection of yeasts that occur naturally in the vineyard, before being aged in traditional cement cuves, with a very small proportion of the senior cuvées spending a period in small barriques of French oak. Domaine de Mourchon is an estate that has been restored and rejuvenated with such impressive style and energy, and so beautiful is the setting, that it has become something of an item on the wine-tourist itinerary. There is a vibrant caveau where the wines can be bought, together with a range of Provençale delicacies, skin creams and perfumes which are made by Ronnie. Should one be tempted by the silence and solitude to a more extended stay, and the opportunity to visit the many historic sights, go walking or cycling, or indulge in the increasingly exciting gastronomy of this region, the very comfortably appointed Winemaker’s House is available to rent throughout the year.